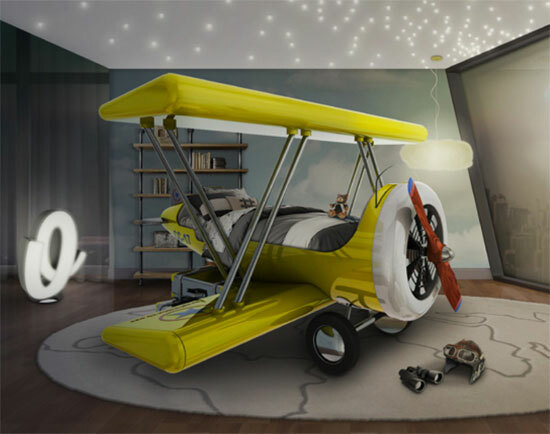 We have seen some amazing beds for kids in the recent past, but few (if any) as striking as the Sky B Plane bed for kids by Circu. 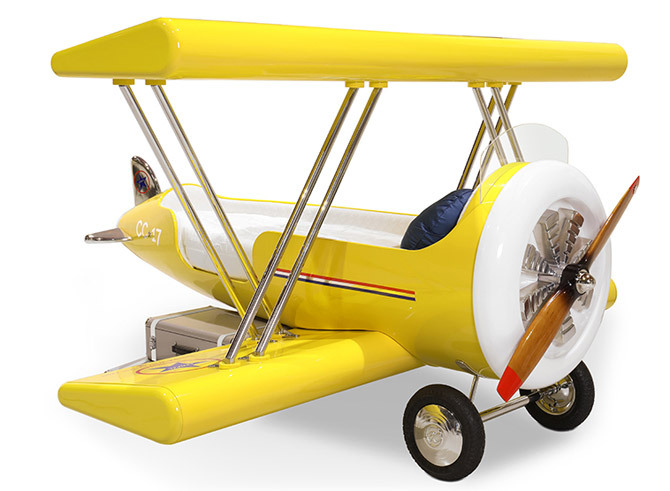 The Sky B is actually aimed at small kids (think toddlers), with the bed at the centre of the design complete with velvet upholstery, while the wings have built-in storage compartments inside. 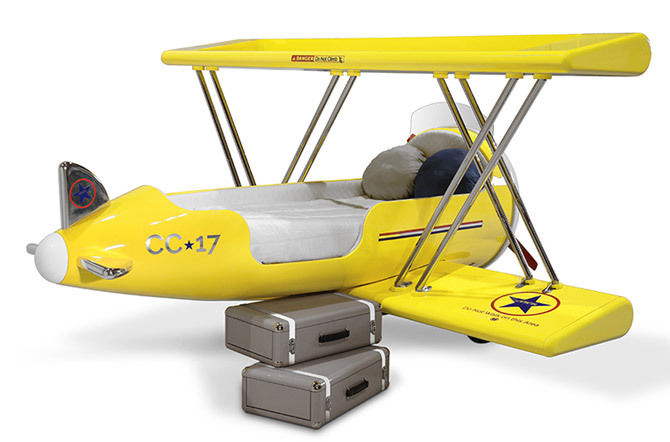 The main body of the bed is made of fibreglass, with the propeller in real wood and the wheels made of rubber. 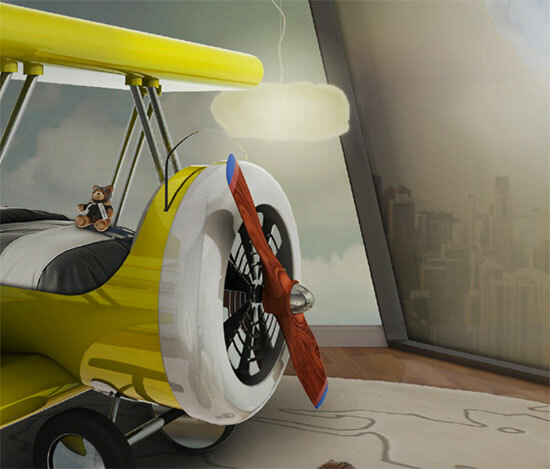 The bed is actually inspired by the Disney movie ‘Planes’, specifically the character Leadbottom, an iconic biplane wing aircraft used in the early years of aviation. 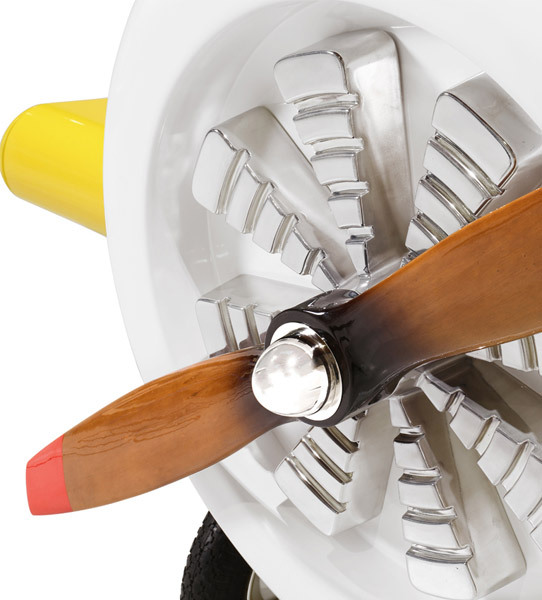 Yes, that’s a selling point, but the design itself is the real pull here. The detail is just amazing. 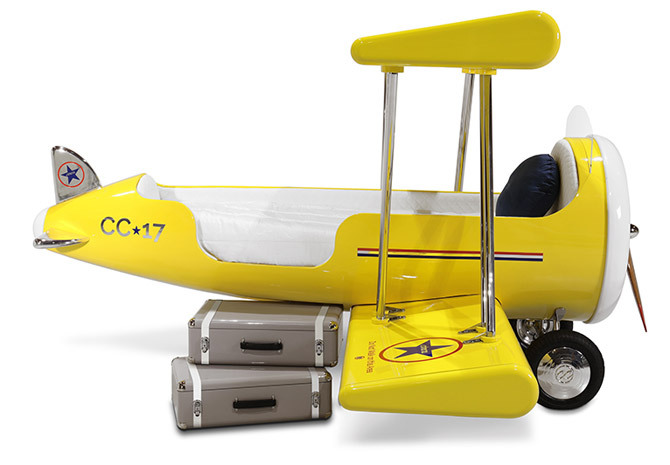 This is pretty much a remade vintage plane (albeit one that doesn’t fly) right down to the vintage luggage that comes with it. 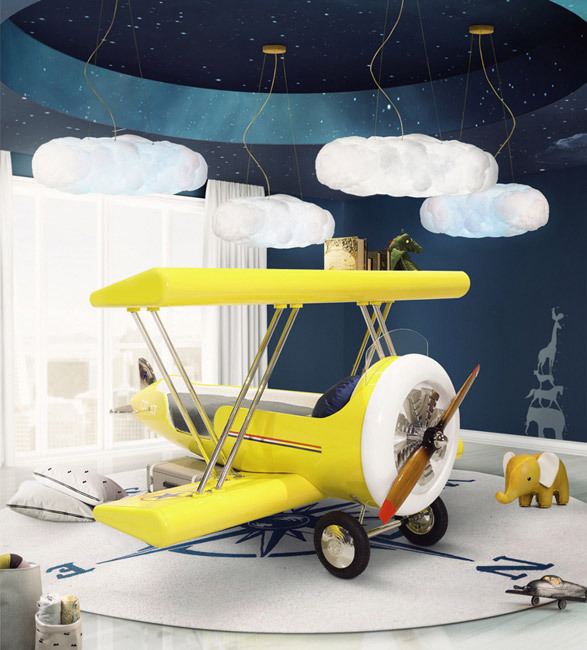 This is a bed designed to fire up the imagination of a child. 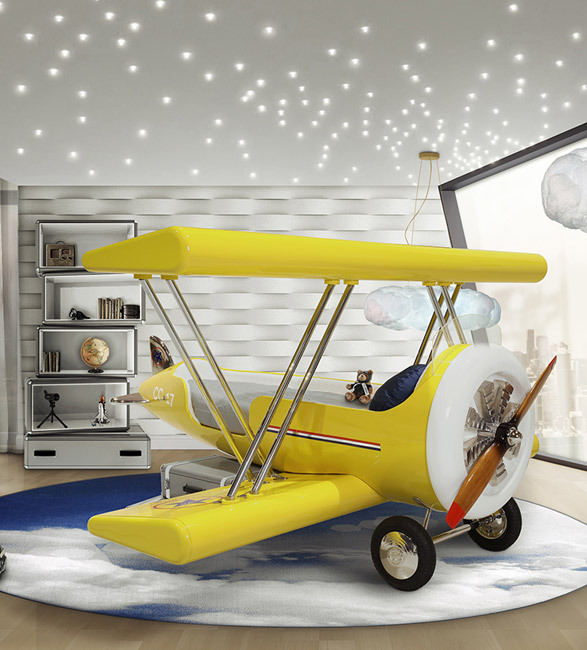 Yes it is a bed at the end of the day, but it’s also a plaything, as well as a design statement in itself. It might also put a hole in your bank statement too. Yes, it might be a wonderful bed, but you will probably have to pay through the nose to get one. 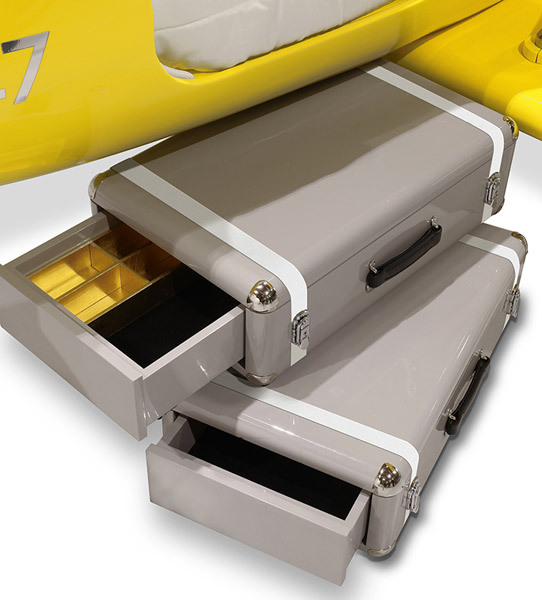 All of Circu’s beds are made to order and have a price on application. I can’t find a price anywhere. But the one thing I am sure of is that this bed will cost a lot of money. Perhaps as much as your next car. 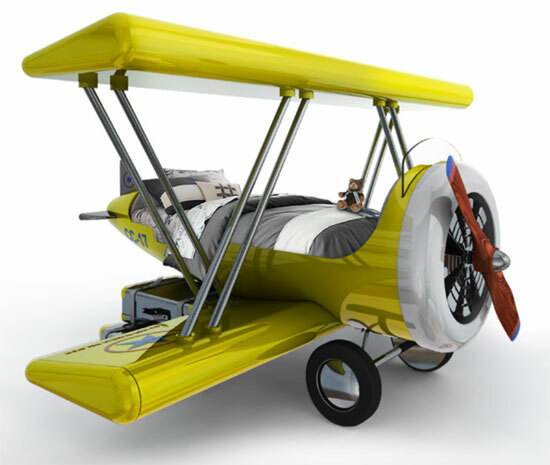 Although if this bed is on your price bracket, you are probably paying more for a car than I ever will. Regardless of price, it is a thing of wonder.